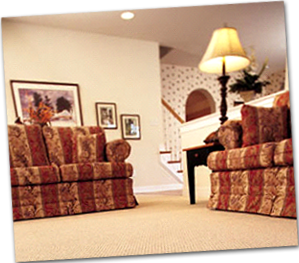 Our Dry Carpet Cleaning Services are available to both Residential and Commercial customers. Envirodri's method of Dry Carpet Cleaning can be used throughout your home including stairs, kitchen tiles and the rest of your living space. Envirodri's method of Dry Carpet Cleaning makes us first choice for offices, shops, restaurants, hotels, pubs, residential homes and clubs etc. Also Communal cleaning for Property Management Companies – all communal areas and common parts. End of tenancy lets – cleaning undertaken for letting agencies and private landlords. No "waiting to dry" time. No closing off areas to members of staff/public. Your furniture within your home is one of your biggest investments and it is vital that it is kept clean and free from stains and dust mites etc. 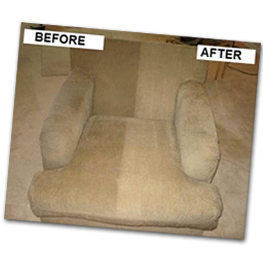 With our Professional Upholstery Cleaning Equipment we will ensure that the correct cleaning solution is used based on the type of upholstery/fabric, wear and tear and degree of soiling. Our pH-balancing solution removes deep down dirt, and dust and odours, thus completely revitalising and rejuvenating your upholstery – making it look clean and refreshed. We also clean soft furnishings in caravans and campers. Contact us now for a free estimate. Our Envirodri cleaning system uses specially designed aggressive brushes to massage the compound into the tiles which scrubs the grout and dislodges the dirt and the grease. 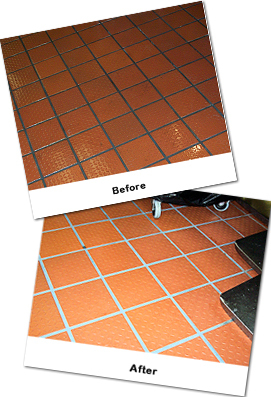 Once the grout and tiles are cleaned the area is ready for immediate use.